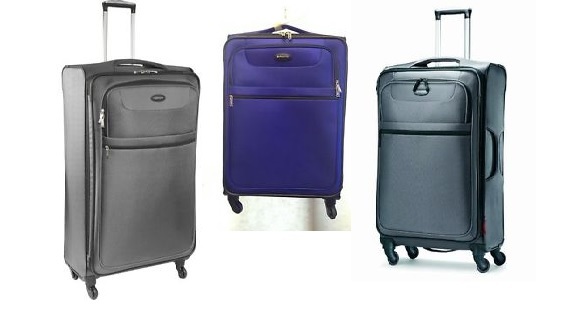 This is the summary of consumer reviews for Travelpro Luggage Maxlite 2 22" Expandable Rollaboard. The BoolPool rating for this product is Very Good, with 4.20 stars, and the price range is $73.99-$240. 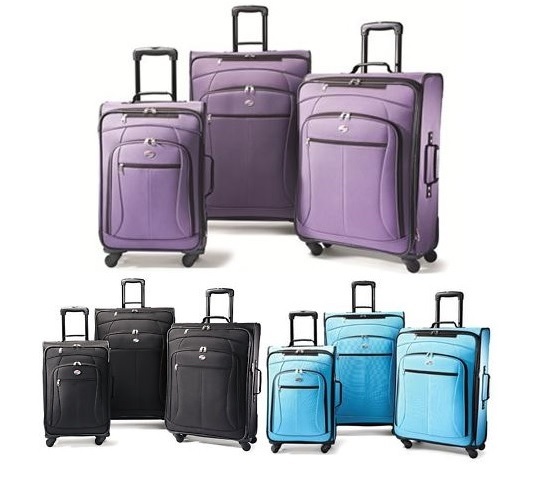 The Travelpro Luggage Maxlite 2, 22" Expandable Rollaboard is ultra-lightweight, made of 400D x 400D polyester fabric that is water repellent for greater stain and abrasion resistance. 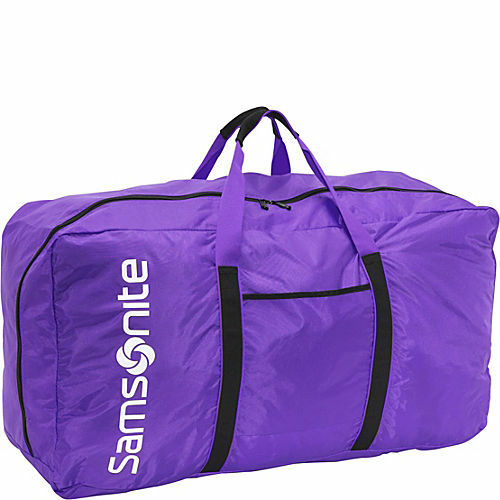 This durable luggage is spacious and allows packing more stuff without exceeding the airline or transportation weight limits. The honeycomb framing system and EVA foam construction provides additional durability, while the protective skid, corner and crash guard wheels housing protects against potential damage during travelling. The luggage features a telescoping handle with two stops, one at 38" and other at 41" that ensures a comfortable roll for users with different height. Some other features include - Grooved handles for extra strength when supporting totes; ergonomic zippers ensure effortless and secure opening and closing; multiple exterior pockets for various accessories; compression straps for load security; zipper expansion of 1 1/2" increases the flexibility of packing. However, the luggage tips over when filled with a little more capacity. Some users do not find the unit durable as in some cases handle or wheels broke while in transit. Overall, the Travelpro Luggage Maxlite 2, 22" Expandable Rollaboard is good travelling companion with features like ultra-light weight, quality features, good looks, well constructed, spacious, utility and affordable price. 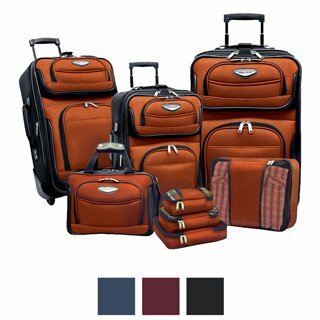 This luggage is suitable for short/domestic trips as it easily fits the carry-on overhead cabins easily. Bad - likes to tip over of you completely pack it to capacity; unsure of long term wheel durability. Good - Fits a lot of clothes; works great with Eagle Creek's Pack-it system (a must buy with this suitcase); seems to be quality construction; easy to control/roll; fits into overhead bins of any non-regional aircraft. There are probably better suitcases out there, but not for this price. This's the lightest carry-on suitcase we've owned which makes it easy to place in overhead bin on plane. Wheels are loud, handle broke. I've never written a product review on Amazon, but I'm so disappointed with the quality of this suitcase that I'd to comment. As for the suitcase, I was so disappointed with this product. This suitcase constantly tipped over and the handle wouldn't extend without a struggle when packed fully. Nice basic design and light weight. It's light weight.The perfect size. Very light and easy to maneuver. Light, durable and easy to use. Rollaboard works great for carryon luggage and weight is light enough to lift it easily into overhead bin on airlines. This luggage looks nice, has held up over the streets of Europe and is light and compact for overhead storage. It's become a joke that every time we travel through the airport he can't stop saying "so light!" because he was astonished by how light these actually are. 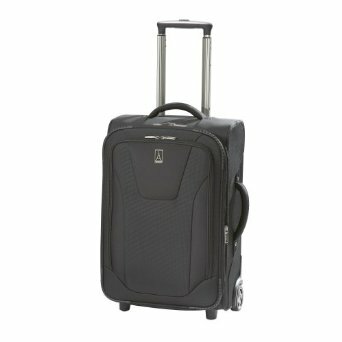 I recently purchased the small roll-aboard/spinner Travel pro case, and yes it's light,and it wheels nicely. it's so light and fits in the luggage racks in the plane. The suitcase is very light and I like that the handles are padded and located on 3 sides, which makes it easier to get in and out of overhead bins. 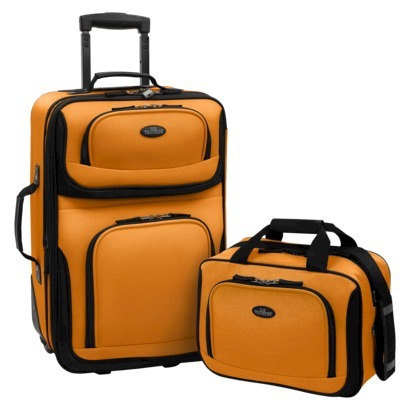 The suitcase is sturdy, rolls very well and fits easily in standard overhead compartments. The bag is light and fits into any overhead. It fits well in a standated airline overhead and might even fit on some regional jets as long as the top isn't expanded. The luggage still fits very easily in the overhead compartment when fully expanded. It seems well-made, rolls well and has nice packing features. The design is well done as well. Fit's on all but the smallest of planes (No Dash 8 overhead, or CRJ200). I checked it on the planes, so I've no experience with fitting it in the overhead compartments. It'd be a really tight fit in an overhead. I can fit a weekends worth of things easy, no worries about the bag getting messed up with baggage claim if checked. Definitely a light weight yet sturdy bag. The handle does extend plenty and is sturdy. The Rollaboard wheels handle beautifully. The long handle works great for my tall husband. Nothing broke, wheels still rolling, zippers still zipping, handles still handling, expander still expanding, and shirt holder zip pouch worked well. It's so lightweight and easy handling. 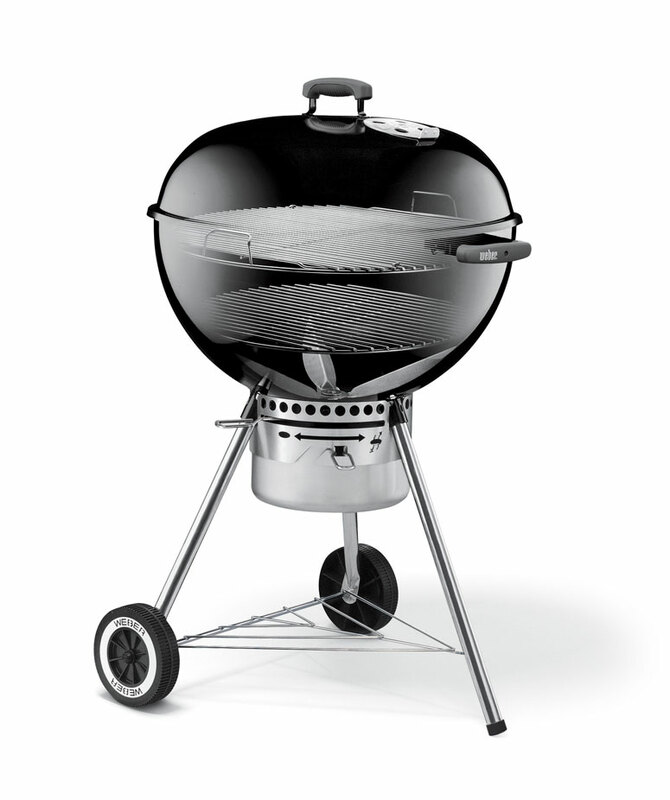 The quality of the material seems sturdy and the retractable handle works smoothly. However the extension pull handle has stuck a few times and wouldn't fully extend. For the first few days of the trip, when the bag was packed, I was unable to extend the handle fully. I'm about 6'3" and the handle is long enough to pull easily without hitting the bag with the back of my shoe. While I appreciate the light weight of this bag, when you slide a handbag, garment bag, or carry-on bag over its handle--like we do with our other Travelpro roll-aboards, the bag tips over. The bag is really light, rolls well even on cobblestone. This bag is light and well built. I really like how light this bag is. I used this and a small overnight bag for a two week trip to Italy where we stayed in 7 hotels, traveling by train to get from city to city so it was handy to have a light bag to schlep around. Although its light, it?s a very well made bag. Purchased this bag for my son who travels a lot. I travel quite extensively and am very impressed with this bag. was looking for bag to handle heavier load and roll through gravel, salt, snow, & water...inline wheels are perfect for this & can be replaced; the only item ever going bad and getting trashed was the wheels; I've gone through 5 travel bags so far; however, this bag appears to be meeting ALL expectations; being able to replace the wheels is an outstanding feature. 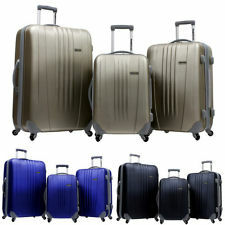 Lots of room and durable bag from Travelpro.. This's now my "go-to" bag for air travel.